Today I wanted to take a look ahead at what the 2011 tax year might have in store for us. There are some important changes looming and the time to start planning for them is now. Update: In case you haven’t heard, the Bush era tax cuts have been extended. This article has thus been updated to reflect these changes. 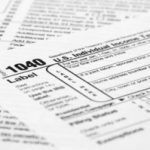 If you’re interested in figuring your tax liability from the past year, check out the 2010 income tax brackets. In case you weren’t aware, the Bush tax cuts of 2001 and 2003 are set to expire at the end of 2010. Thus, if Congress doesn’t act, the relatively low income tax rates that we’ve been enjoying (hah! enjoying?) will soon be a thing of the past. They will be replaced by the pre-2001 tax brackets. Beyond the increased federal income tax brackets, the capital gains tax rates will also be changing (and not for the better). The top rate for long-term capital gains will be rising from 15% to 20%, and the 0% rate for those in the lowest tax brackets will be replaced by a 10% long-term capital gains rate. Here again, the extension of the Bush-era tax cuts means that capital gains tax rates will remain unchanged. Why worry about 2011 income tax changes? Note: I’ve left this part intact, but be aware that the changes (or non-changes) outlined above means that 2010 and 2011 are more or less equivalent, and there’s no real need to make wholesale changes dur to looming changes in tax rates. Since the 2011 tax year is so far off, you might be wondering why we’re even talking about it right now. 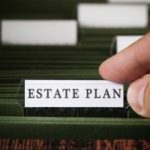 Well, as I noted above, the time to being planning for things like this is right now – before the changes go into effect as these potential income tax rates have the potential to take a big bite out of your savings account. Find and apply for zero percent balance transfer credit cards with no annual fee and the longest 0% APR terms. Open a high yield online savings account to make your money work harder for you. How do Federal Income Tax Brackets Work? $300 Billion in Uncollected Taxes? Okay folks, comments cleaned up and locked. I’ve seen numerous politically-charged comments coming through from “people” using different names, but originating from the same IP address. In other words, one or more people who have an agenda and are trying to make it look like lots of people share their view. Raise taxes, kill the country, economics 101. Companies will stop hiring, may start laying off & dealing out more paycuts and benefit cuts. Individuals losing their jobs will become dependent upon government. round and round she goes while crybabies point fingers. If the Bush tax cuts fail to be renewed it will be the fault of BOTH democrats and republicans and there isn’t a damn thing any of you can say to refute that inarguable fact. The vast majority of contributors here completely flabbergast me. If anyone thinks federal revenue increases proportionately with increased tax rates, then you have very little understanding of macroeconomics. Every single middle class person here chanting for higher taxes on the rich are only digging their own grave since every single middle class person’s paycheck comes from someone making over $250k per year. People who own businesses and pay your paycheck aren’t in business because they’re stupid or because they like being taxed. If their free cash flow is adversely impacted by increased taxes, they will pass the buck down the line to their employees. It’s as simple as the old phrase $h!t rolls downhill. If you increase a very successful companies taxes, you reduce both their ability and motivation to grow and creat jobs. While it seems counterintuitive to my liberal friends here, the only way to fix the economy and increase federal revenue is by cutting taxes and nurturing economic growth. For all of you who want higher taxes, you better batton down your hatches because 2011 is going to be very financially painful. How can anyone think we shouldn’t raise taxes because the underlying problem is spending? Obviously we need to attack this from both sides and cut spending and raise taxes. If you have 50,000 in credit card debt because you love to shop, are you going to refuse to pay more than the monthly interest and explain to your creditor that you don’t want to pay more, because your spending habits are the issue, not the debt? I am sure they would disagree with you. We can’t just ignore the debt and try to curb spending. The defecit will not go away, no matter how deeply you bury your head in the sand. If the tax rate is raised on the highest earners, very little will be accmplished. They have all kinds of tax shelters. Most of them pay less than middle class earners. So if this is just an excuse to keep spemding, we are in trouble. The same amount? And what might that amount be? You think it’s fair that both the multimillionaire and school teacher pay the exact same rate? There’s no way this would come close to covering the government’s expenses, even if we cut out all the waste. The tax code needs to be completely revamped to a more fair and simple tax system. It appalls me that people think it is OK to soak ‘high earners’. Most people that are high earners are also the ones that are the most productive and creative, it makes no sense to kill this productivity through lousy taxing schemes that pit Americans against one another. We should all pay the exact same amount of tax, not the same % but the same amount. I gaurantee that would create fundamental change in the way our govt spends money. If you disagree is it because you are one of the unproductive in our society? There is a reason you see our most productive companies fleeing our country and it isn’t just cheaper labor it is mainly for cheaper taxes. When smart people can keep re-investing capital it creates more jobs and wealth for all. Ya what at a 7-8% profit margin? As best I can tell, Exxon Mobil recorded over $15 billion in income tax for 2009. That’s ALOT more than $0. do what you have always done and get what you always got. stop electing lawers to office that simple why elect a pro lair with a phd in spending your money. AND why cannot businesses make MONEY? it is WHY they go into business after all. ENOUGH with the damn whining about big oil, etc having the AUDACITY to make money. good gravy.. people, look for the real problems.. there are enough out there. How can anyone STILL think Clinton left the US with a surplus? did you NOT see the actual ‘books’? We were OVER a trillion IN debt, and Clinton ‘hid it’ – look it up. The actual deficit went up and down while Bush was in office, but guess which president completely DESTROYED our deficit? .. just one is all you need, and he’s STILL in office. This country does NOT need the ‘social services’ that BHO and Klan says we do. BUT we – the ones that work – will be paying for it. And as a family who went DOWN 30k from 2008 – we paid MORE this year. So no, BHO’ did NOT give us more money, but we did pay more. Should I say thank you now OR wait until next year when his other ‘ideas’ kick in and Bush’s tax cuts expire and we will be paying even MORE. hmm.. such a hard choice. Even if spending was reduced to zero overnight, it doesn’t eliminate the debt. It only stops the debt from growing. And a decent amount of spending is simply necessary for society. I agree that it might not be fair that those earning millions of dollars a year to pay more, but it’s most likely necessary. Of course, I’d also like to see a crackdown on businesses. I believe it was Exxon Mobil that didn’t pay a cent in federal income taxes during 2009? Which is outrageous considering they make billions in pure profit every quarter. Um, Ryan? How ’bout we reduce spending. And why should “high earners” be forced to shoulder even more of the burden than they already do? Like it or not wealth is created by wealth. I think that the Obama administration and Democratic lawmakers WILL extend income-tax cuts that benefit American families earning less than $250,000 a year, while allowing tax rate reductions for high-income earners to lapse. This means boosts in the top marginal rates from 33% and 35% to 36% and 39.6% respectively. Still more people, particularly as the economy improves, will fall into higher tax brackets. It does seem like a good plan to pay taxes this year on as many things as possible. It would be good to know if any of the tax cuts were going to be extended. I would much rather spread the tax over a few years rather than all in 2010, but it looks doubtful they will be extended. The only hope is that it is an important election year. Anyone with any commom sense must realize that taxes are going to increase for everyone. It’s just a matter of when and how. i’ve done the exact thing you have, 401k>trad ira>roth ira. my current plan is to pay all the taxes this year, but it sure would be good to know if the tax cuts were going to be extended. given the same rates…i would much rather spread the tax over 2011 and 2012 than all in 2010.
how late in the game can congress wait until they make a decision to extend or let them expire?? Pay-Go just gets everyone mad at the pols. Like Bunning (sp?) and Coburn holding up bills that don’t have money to pay for themselves. We need more Tom Coburns in the Senate & House to try to stop bridges to nowhere etc. etc. #4 Tom) I agree completely — pay-go is the only way to fix things. I wouldn’t really care what the government spends money on, or how much it taxes us, AS LONG AS, we have the pay-go policies in place. What burns me up is the massive spending, yet without the massive tax increases to support those spending levels. The ‘debt held by the public’ is now at 7.8 TRILLION. This is not funny money (SS-trust fund IOUs), it is real money that we owe other nations and treasury bond holders. Since 2001, we have been on a massive spending spree, that we have financed on the back of the work of future generations. The major items that really screwed us are Medicare Part D, two wars, and massive tax cuts under the Bush administration. We need a balanced budget _this_ year — no more deficit spending! I challenge the republican ‘conservatives’ to actually support the pay-go policies like we had under Clinton. I’m not for raising taxes, because the underlined problem isn’t fixed. The underlined problem is a government that doesn’t know how to handle money. Irresponsible spending by the government is a message being sent to young American’s (I’m still in my 20’s so consider myself semi young) that it’s ok to spend more then you can afford to. Stack the lack of financial education at the middle and high school levels, and what they are seeing by the biggest company in the US (Yes.. the Government is the biggest company in the US even without the military) and we have more and more issues to come. Sorry for the off rant, but again we don’t have to raise taxes, we first have to cut the spending, and fix the crappy social services that we provide (yes.. the social services are a mess, and are taken advantage of for millions upon millions of dollars a day). Then IF we had structured and managed spending, and we knew the money was being well spent and handled, THEN I’d be ok with raising taxes, but we all know that’s never going to happen. I could be way off base here, but if we don’t increase taxes (especially on high earners) how are we ever going to pay down the national debt or maintain current spending levels? Bush cut taxes and then started trillion dollar wars. Bad decisions, but that doesn’t change the fact that it needs to be paid back. Wouldn’t you only pay 40% on amounts over 384,860? That’s a bit different than paying 40% on your total income. If only Canadians didn’t have to pay so much… how fortunate you are! Another thing to think about in regards to this is a Roth IRA rolloever. I just rolled a 401k onto IRA & then to Roth since the cap was lifted. I know that I have the option to spread the tax hit over 2 years but I’m doing it all this year to avoid paying a higher tax next year. I sure hope congress extends the Bush tax cuts. Can you imagine paying 40% in Federal taxes ALONE, not including state tax? Flat Tax for all, always! It’s an election year. The 10 percent rate/bracket will be preserved before November. Another motivation to pay off as many debts as possible this year. If these new brackets do come into play, I’ll lose around $200/paycheck, which would currently be financially painful. Increasing the tax burden on ANY bracket will just ensure the economy continues to underperform. With respect to raising taxes to balance the budget, I think that’s a short term solution to a long term problem. I hope someone in Washington tries to get momentum going for a balanced budget amendment to the constitution. I hate to say it, because I’m a fiscal conservative, but we need to raise taxes. Raise taxes and cut spending. We can’t afford to continue along this deficit path. Problem is, we only have ourselves to blame. While it’s easy to blame politicians, we elect them. We need to start electing officials who will implement intelligent fiscal policy. I am a big fan of Pay-Go. Politicians should be asking their constituents if they are for an X% increase in taxes to get (insert service/program here). This doesn’t seem like rocket science to me. These brackets are bogus. Obama has already pledged to keep taxes at the Bush-levels for MFJ under $250k and Singles under $200k. The Bush taxcuts will be allowed to expire for the higher income people. If congress fails on this, then you know exactly which party to blame. 1) Double taxation is awful, especially at that rate. 2) Obama promised to not raise taxes on anyone making under $250,000.